254 pages | 135 B/W Illus. Authored by leading experts from around the world, the three-volume Handbook of Nanostructured Thin Films and Coatings gives scientific researchers and product engineers a resource as dynamic and flexible as the field itself. 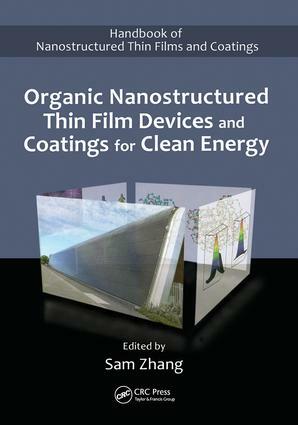 The first two volumes cover the latest research and application of the mechanical and functional properties of thin films and coatings, while the third volume explores the cutting-edge organic nanostructured devices used to produce clean energy. A complete resource, this handbook provides the detailed explanations that newcomers need, as well as the latest cutting-edge research and data for experts. Covering a wide range of mechanical and functional technologies, including those used in clean energy, these books also feature figures, tables, and images that will aid research and help professionals acquire and maintain a solid grasp of this burgeoning field. Sam Zhang is a full professor in the School of Mechanical and Aerospace Engineering at Nanyang Technological University in Singapore.